Forests Ontario has welcomed PCL Constructors Canada Inc. (Toronto) as a major supporter of the Green Leaf Challenge. Launched in partnership with the Ontario Ministry of Natural Resources & Forestry, Ontario’s Green Leaf Challenge celebrates Ontario150 by inviting Ontarians to plant and count three million trees in 2017. PCL’s partnership will support planting projects across the province, engaging community members in making public spaces greener. 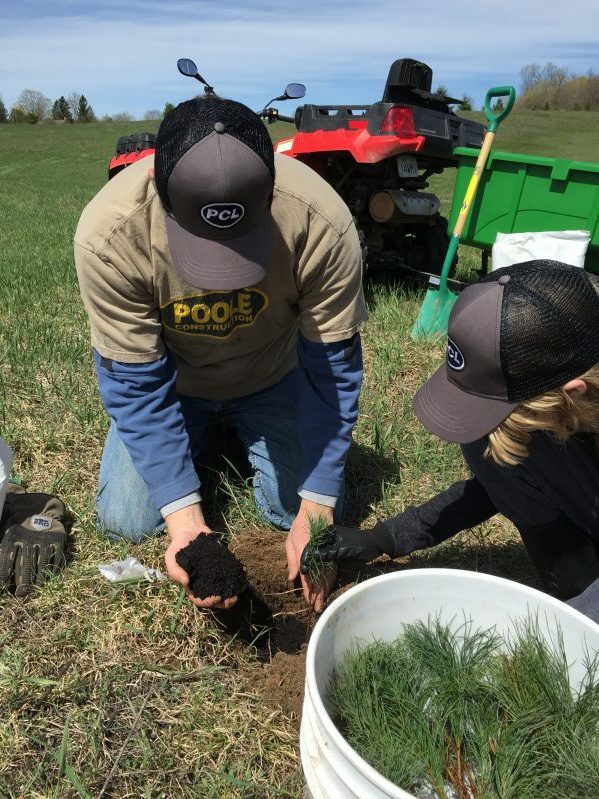 In addition to supporting planting events and projects across Ontario, PCL hosted a launch event to announce the company’s support of the Green Leaf Challenge, giving away native tree seedlings to 550 employees to plant with their families and then count toward the Challenge. The Green Leaf Challenge will have a significant impact on Ontario’s air quality by adding new forest cover that will remove approximately 6.6 million tonnes of carbon dioxide from our atmosphere by 2050. All Ontarians can participate by visiting www.greenleafchallenge.ca and adding their trees to the online counter.